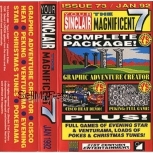 Your Sinclair Issue 73/Jan 92 Covertape for ZX Spectrum. 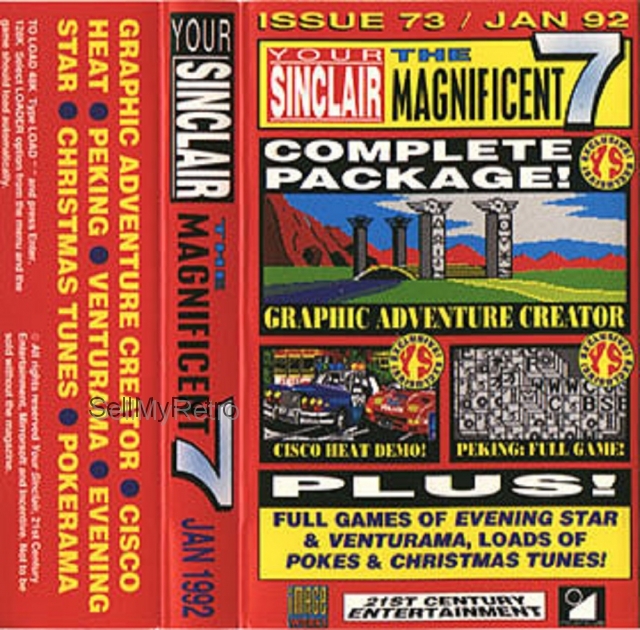 1992 magazine covertape that includes the following: Cisco Heat Demo, Graphic Adventure Creator Full Package, Peking Full Game, Venturama Full Game, Evening Star Full Game, Christmas Tunes and Pokerama. In case with inlay but no instructions or magazine. 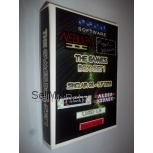 Very good condition. Tested and working.